Fire occurred around midnight at home in the area of Olive St, Brown Ave.
Photo Courtesy: Jourdanton Police Department Facebook page. 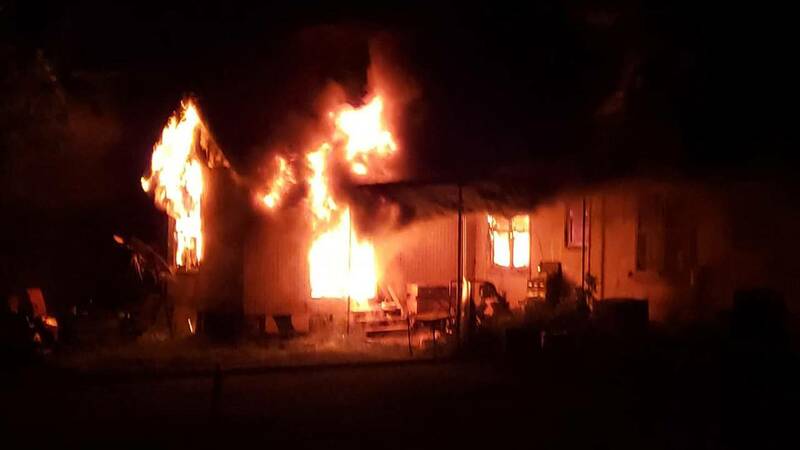 JOURDANTON, Texas - A family in Jourdanton was able to safely escape an overnight house fire, officials with the Jourdanton Police Department said on its Facebook page Wednesday. According to the Jourdanton Police Department's Facebook page, firefighters were called around midnight to the home in the area of Olive Street and Brown Avenue. Police said all the occupants escaped the home safely, with perhaps the exception of a family dog, which is currently missing. The Jourdanton Volunteer Fire Department, the Pleasanton Volunteer Fire Department, the Jourdanton Police Department and Atascoasa County Sheriff's Office all responded to the call.